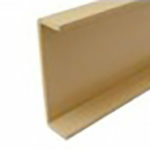 Fiberglass structural shapes are used to create what we call structurals. Fiberglass reinforced plastic structurals are becoming an increasingly popular choice for industrial installations that require strength, durability and resistance to humidity, corrosion and aging. Thanks to the flexible manufacturing methods we apply to make our FRP structural systems, we can offer you an extremely wide range of standard products as well as custom solutions. 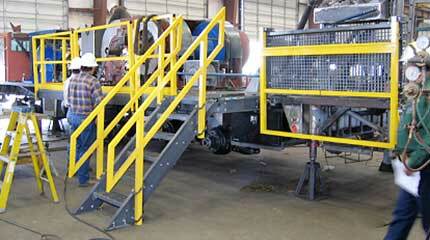 Our FRP systems are OSHA-compliant and can be used across all types of industries. With a choice of colors, styles and finishes, you can easily integrate fiberglass reinforced plastic structurals to an existing facility or installation or have us create a new system from the ground up. Our team has experience offering intelligent solutions for your industrial grating, guarding, passageway and climbing requirements and can work with your plans, blueprints and drawings to create an optimized FRP system. 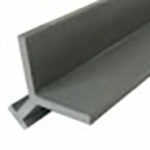 Marco Specialty Steel offers all standard fiberglass structural shapes used for structural projects. 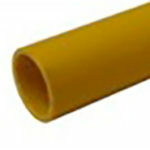 They are manufactured in both vinyl ester (standard color is beige) and polyester (standard color is dark gray). 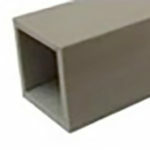 Embedment angles are only manufactured in vinyl ester and standard in dark gray to compliment the color of concrete. Will not Rot, Rust or Corrode: Our fiberglass reinforced structural shapes offer the strength of traditional building materials with a longer life cycle. Will not Shrink, Swell, Warp or Bow: Hot or cold, wet or dry, our FRP structural members remain dimensionally stable. Easy, Quick Installation: Fiberglass structural shapes can be cut, drilled and assembled using standard tools. Built for Safety: FRP grating and decking are available with safe, nonslip surfaces. This is especially useful to prevent slips and falls in wet or oily conditions. As well as excellent cushioning to support workers with less strain and fatigue. Options and Applications: Options include NSF certification, UV inhibitors, fire-retardant resin and more. We design and build our FRP systems to meet OSHA compliance so you don’t have to worry about possible regulation issues. Thanks to the inert and resistant nature of fiberglass reinforced plastic, our grating systems and stair treads are suitable for use in harsh environments that include heat and cold, moisture and chemical exposure. 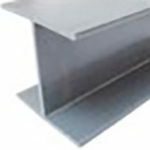 Check with the Marco Specialty Steel team to find out if FRP structurals can meet your requirements. Certain crossover work platform installations require a specific combination of resistance, durability and design flexibility. Our FRP systems allow us to build to your blueprints using our standard, OSHA-compliant fiberglass reinforced plastic structurals. You can choose from a range of components to build your work platform, either on the ground or at height. Our team will take your design and blueprints and help you choose the fiberglass grating structural elements that meet your requirements. FRP is perfect for a wide range of environments, including installations that experience hot and cold temperatures, water and chemicals, frequent passage and heavy loads. Let Marco Specialty Steel find the custom solution for your business. We invite you to upload your drawings, specifications and blueprints to our site today and we’ll get started finding the best FRP systems we have. Tell us about your project and your expectations in terms of design, durability and functionality and we’ll propose the fiberglass reinforced plastics system that meets your needs. 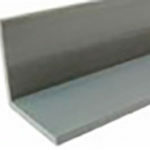 Discover what makes Marco Specialty Steel your best choice among all fiberglass structural shapes suppliers in the marketplace. Contact us for more information about our FRP structural products and services and a no-obligation quote today.